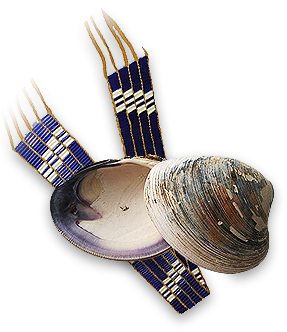 On September 7, 2018, the Department of the Interior issued its first Carcieri decision in which it refused to reaffirm its own authority to confirm the status of the Mashpee Wampanoag Tribe’s reservation. The decision opens the door for the Mashpee Wampanoag Tribe’s reservation to be taken out of trust and disestablished and follows on the heels of the federal government’s refusal to continue to defend the status of the Tribe’s reservation in court. The Department rejected the clear evidence of federal jurisdiction provided in multiple federal reports (some commissioned by Congress), Mashpee children attending federal Indian schools, federal representation of the Tribe, and other evidence accepted as sufficient in prior decisions. 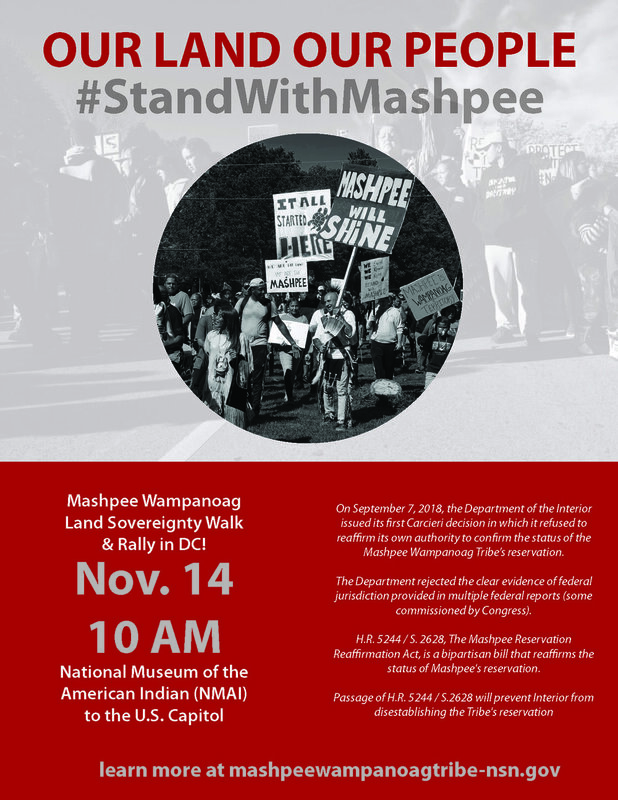 HR 312, The Mashpee Reservation Reaffirmation Act, is a bipartisan bill that reaffirms the status of Mashpee's reservation that and has widespread support from Indian country. Passage of HR 312 will prevent Interior from disestablishing the Tribe's reservation. The Mashpee Wampanoag Tribe’s citizens are currently suffering a massive loss of resources and services due to the uncertainty of the trust status of the Reservation. Millions of dollars of funding are being lost or delayed for our clean water program, our children’s education through our Mukayuhsak Weekuw immersion pre-school and kindergarten and critical community service programs. It’s also a direct threat to our emergency services, housing and substance abuse program that’s desperately needed to combat the opioid epidemic. These are just a few of the ways this negative ruling is impacting our community and our children. Please consider ways that you can help correct this injustice. It All Starts Here. Join the fight to #StandWithMashpee.